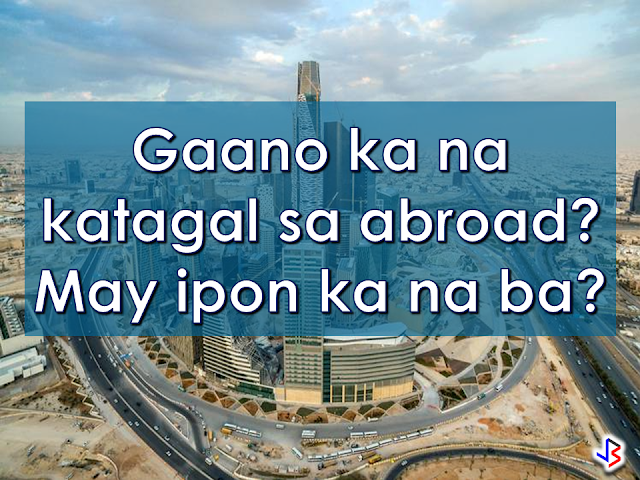 A former OFW who is now a successful businessman said that starting from your first day abroad, you already need to plan your return. It will help you determine how long will you really stay working abroad. That's where most OFW fail. They enjoy the benefits of earning so much so that they never thought that working abroad is not forever. Later when they realize these fact, they are already out of time to catch up. 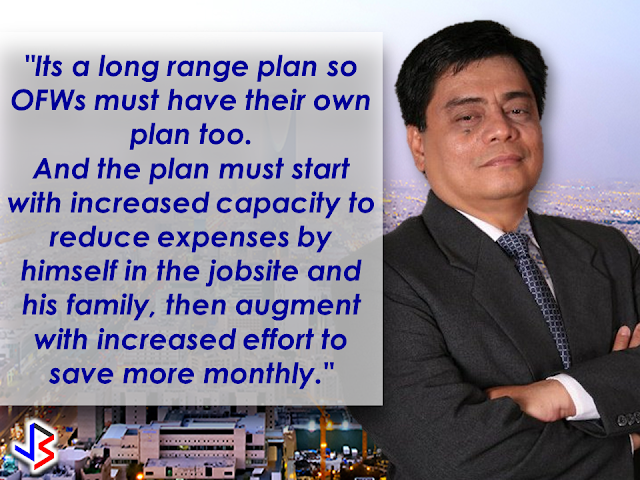 That's why some OFWs return home broke, no savings, no investments. In this article, we will help you realize the value of planning and how you could benefit from it. Time is ticking, and before your time run out, you have to start moving , now. Do the math, how much do you need to sustain your daily expenses? If you are going home for vacation, how long do you want to stay? if you are going home for good and will try to find a new job, estimate how long before you can have your new job? If you are going home for good and setting up a business, how long will it take for your business to be sustainable for you and your family? You would not want to go home with a budget that will last for only a month. You have kids who go to school, you need to pay your monthly amortization for your house or car, you have parents who are sick or relatives that need help. Can you still be able to support them? Of course you don't need to be burdened by your extended family but we are dictated by our culture to do so. After all, we are Filipinos and that is what we do. Yes we need to rest after years of tiring work abroad but we need to have something that will sustain the needs of our family. Browsing the internet for jobs and applying online before you go home could help you find a job while enjoying your vacation. A business how small it may need a capital to start. If you are planning to make a sustainable livelihood by starting your own business, you should have enough money to start. Skills are also needed aside from capital. You should know every detail of your chosen business for it to succeed. Is your savings enough to put up a business? Make sure you pay your OWWA membership to be able to avail their programs for returning OFWs such as the "Trabaho, Negosyo, Kabuhayan". You can also avail scholarships from TESDA should you want to open a computer shop, a welding shop, a bakery or a small cafe. Health is wealth, indeed. Although most Filipino families often overlook health concerns, it is important that everyone at home is covered by medical or hospitalization plan. One way to do this is to verify if you have an active Philhealth membership. While you may probably not use it abroad, it will be very helpful to you and your family if you decided to stay for good. Emergencies happen and there are no signs that it will come. Having an emergency savings nowadays is a very wise move. Considering enough emergency funds while you are working abroad is even wiser. How and when do you plan to retire? Some people even at the age that they should retire are still working hard. Some are so young and not even in their senior years but they considered themselves "retired". It is all about planning. It is having a sustainable income even you are enjoying the comfort of your couch. Some people invest in mutual funds, stock market, etc. There are lots of option for you but being an active SSS member can save you when your retirement comes. The earlier you figure out how to formulate and execute a plan to make these seven checklist complete, the earlier you can set yourself up for your return. As OFWs, everything we do is for the sake of our family and we are working hard to give the better future that we dream and hope to give them. We can work like a beast of burden but bear in mind that one day, we will return to our homeland, in the warmth of our family's sweet embrace and we've got to enjoy the fruits of our toil. There are more than 10 million OFWs working outside the country, 80% of which are mothers. They are all working miles away from their families enduring the homesickness with one thing in mind: to give their kids a better future.The challenges of a household going through the day without a mother on their side has an impact on the children and of course to the mothers themselves. For both of them, things could have been better if they can sustain the needs of the family without having to work overseas.